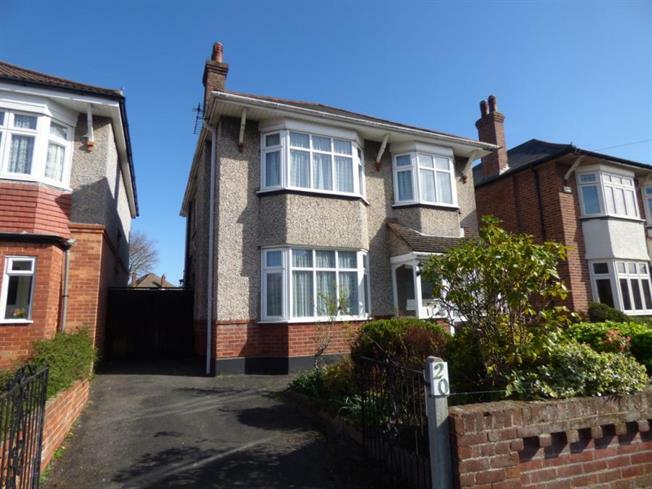 4 Bedroom Detached House For Sale in Bournemouth for Asking Price £410,000. Palmer Snell are pleased to offer for sale this spacious 4 bed detached house in the popular residential area of Winton, close to local schools, shops and transport links to Bournemouth town centre. The property does require some modernisation and the accommodation comprises of a lounge, dining room, kitchen/breakfast room, downstairs WC, conservatory, 4 first floor bedrooms, bathroom with separate WC, UPVC double glazing, gas central heating, large rear garden, off road parking and a detached garage. Viewings are highly recommended. The property is offered with NO FORWARD CHAIN.